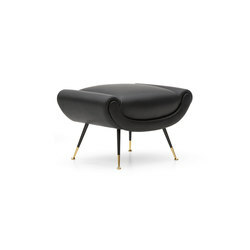 The high-end Italian furniture manufacturer MINOTTI celebrates its 70th birthday! To mark this milestone, the company is launching an impressive collection of anniversary products that are among the highlights of this year's Salone del Mobile. 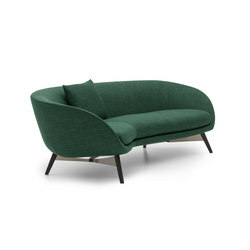 Milan Design Week is the world’s biggest annual celebration of design, and during this year’s event Italian furniture brand Minotti is launching a collection celebrating a particularly significant milestone. 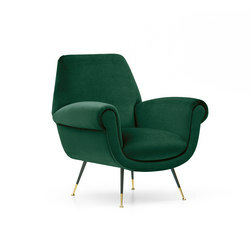 It is now 70 years since Alberto Minotti founded the company, which remains in the family and has grown into one of the world’s leading manufacturers of design furniture. The anniversary products encapsulate the company’s unwavering commitment to quality and design innovation, and will be among the highlights of the 2018 Salone del Mobile.Milano. 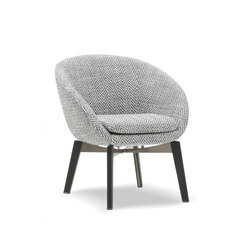 Like many firms operating in the Brianza region, to the north of Milan, Minotti began as a craft-based workshop producing upholstered furniture. Over subsequent decades, it embraced the evolution of new manufacturing technologies whilst retaining a focus on artisanal expertise. The combination of mechanised precision and hand-finishing results in exquisitely detailed products with a sensitivity and emotion that only comes from the input of skilled craftsmanship. In the 1970s and 1980s, Alberto’s sons Roberto and Renato began a process of growth and expansion into the international markets. 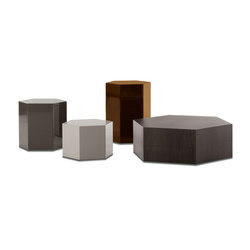 The collaboration with the architect and designer Rodolfo Dordoni and the universal appeal of its simple and elegant products helped to establish Minotti as a leading company of high-end ‘Made in Italy’ furniture. The 70th anniversary year provides an opportunity to look back at the achievements of past decades, as well as looking ahead by demonstrating the continued relevance of the brand’s timeless aesthetic. 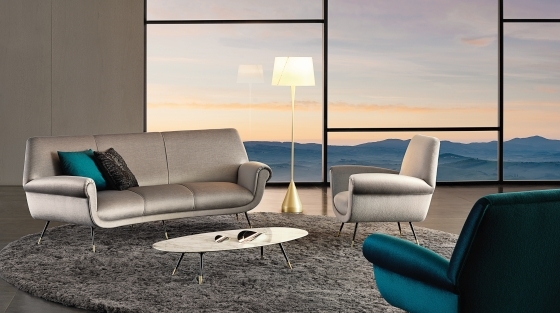 The new collection of products presented on Minotti’s stand at Salone del Mobile embody the qualities that have contributed to its enduring success. 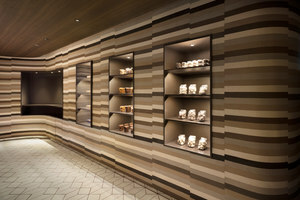 They also represent the brand’s global outlook, with contributions from four international designers. 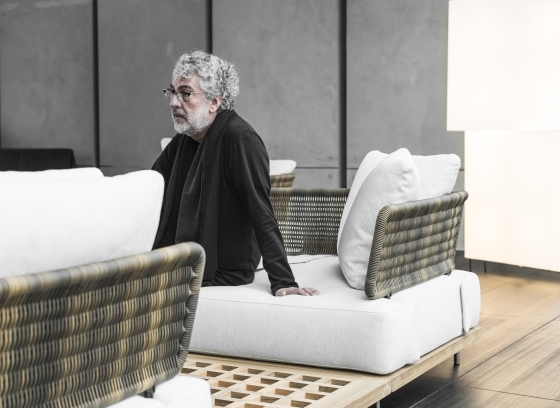 The collection was overseen by Minotti’s collections coordinator, architect Rodolfo Dordoni, who is also commemorating his 20th year working with the company. 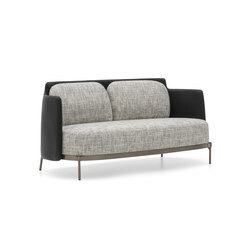 Under Dordoni’s guidance, Minotti has focused on developing products that represent a unique take on contemporary lifestyles – centred around unparalleled comfort, reliability and classic styling. 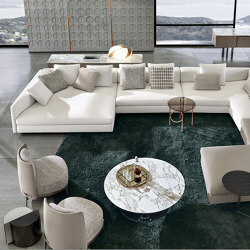 The collaboration has been key to Minotti’s success and the way the brand is perceived around the world. 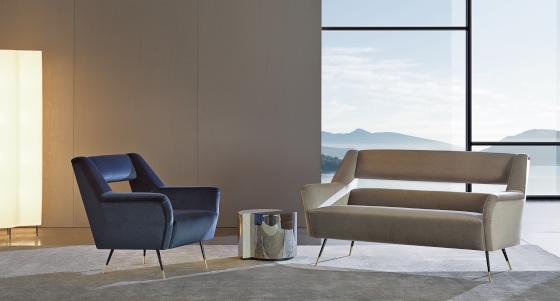 This year’s multifaceted collection naturally includes a contribution from Dordoni himself. 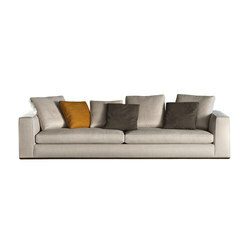 The Alexander sofa is a flexible sofa system comprising squared and curved modules that can be combined to create a wide range of layouts. 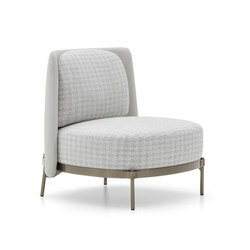 The pieces can be specified with high or low backrests and armrests, and feature prominent seams influenced by high-end tailoring. Japanese design studio Nendo has applied its idiosyncratic graphic aesthetic to the Tape seating collection. 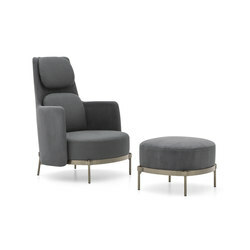 The furniture references Minotti’s sartorial experience by incorporating a playful detail that resembles a piece of ribbon holding the metal legs in place. 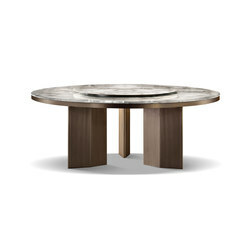 It also designed a series of coffee tables called Waves and Ring. 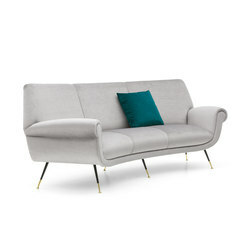 French designer Christophe Delcourt has created Granville – a seating system focused on an interplay of curves and of marked and light strokes. 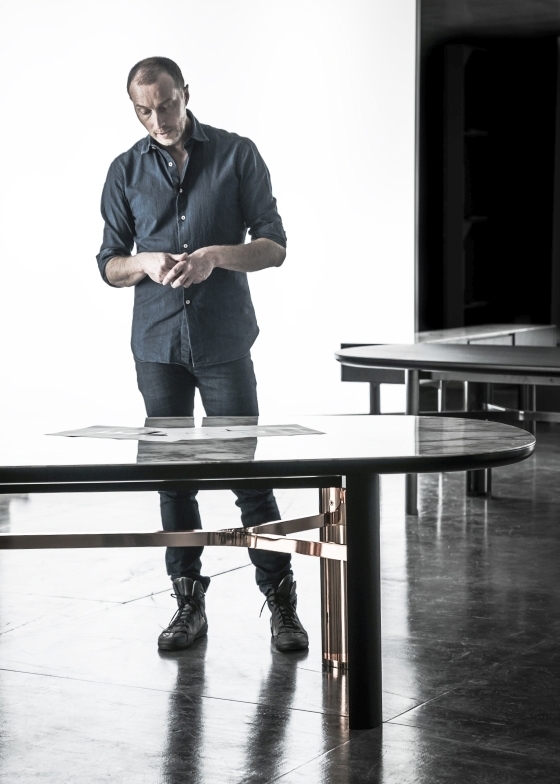 He also designed a series of tables called Dan, which are based on the geometric properties of a circle. 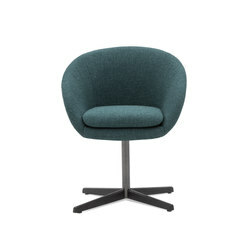 The rounded and concave legs feature contrasting finishes on their inner and outer surfaces, with reflective metals drawing attention to the often overlooked base of the table. Finally, Marcio Kogan from Brazil has developed an outdoor seating system that combines an architectural sensibility with details and materials borrowed from boating and nature. Suspended square platforms inspired by the teak duckboard found on sailing boats support padded cushions and backrests made from woven fibres. 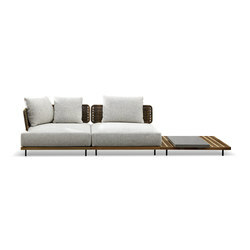 The seating elements can be interspersed with wooden surfaces incorporating trays or candle holders, and the collection also includes an armchair to allow a fully customisable outdoor landscape to be created. The spectacular launch of these new products is just one event in a packed calendar of festivities celebrating Minotti’s 70th anniversary. During the Salone del Mobile.Milano week, the company will also present a special exhibition at the iconic Villa Reale di Monza, dedicated to presenting a narrative overview of the brand’s history. Minotti has chosen Migliore+Servetto Architects to develop the concept for this event and installation, which will occupy eight rooms on the villa’s main floor. 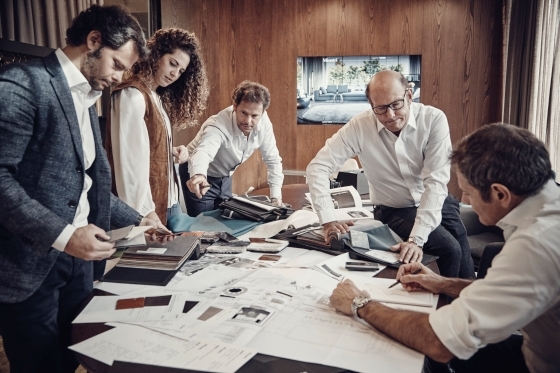 It will consist of three narrative scenarios outlining different aspects of the Minotti family’s values, as well as the importance of internationality and the unique sense of style for which the company is renowned. 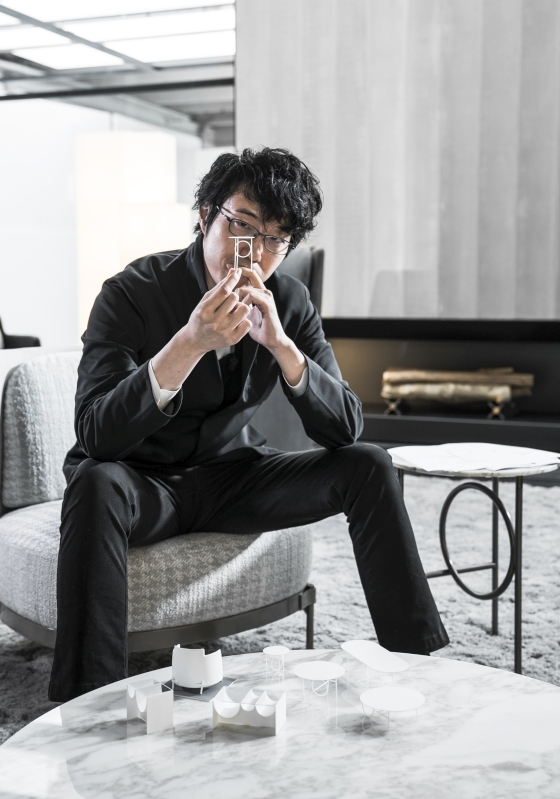 A combination of physical and digital media will help to create a dynamic installation designed to immerse the visitor in the Minotti lifestyle. At this important moment of reflection, Minotti has recommissioned a special-edition product range to commemorate its family roots. 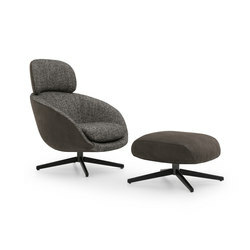 Selected from the Minotti Archive, the Albert&lIe collection of seats and a coffee table are a tribute to the founder of the company, who died in 1991, and his wife Ileana, who is currently its Honorary President. 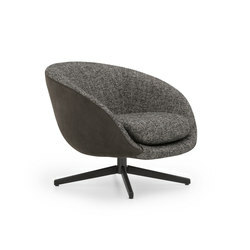 The products are united by a retro-styled slender leg but are each aesthetically distinct. 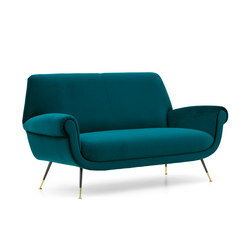 Albert retains the classic 1900s armrest form, which merges with a seat and backrest evocative of the 1950s. 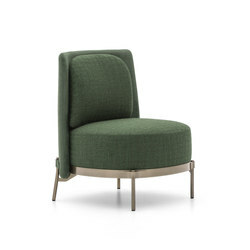 Iles’s outline is closer to the look of the 1960s, with its characteristic hollow back referencing popular armchairs of this decade. 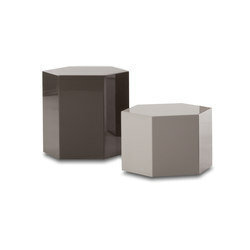 These classic designs have been updated for this commemorative release, but still demonstrate a timelessness and craftsmanship that transcends generations and has become the hallmark of Minotti’s products; past, present and future.